Every day it seems like headlines report about jobs being replaced by AI and other transformative technology. While some types of jobs may see change, other areas, like cybersecurity, will see incredible growth in coming years. By 2021, it is estimated that there will be 3.5 million cybersecurity positions available in the U.S., while college institutions are expected to matriculate only 35,000 students with a Bachelor’s degree in computer and information services. Regardless of the latest trend or newest tech, one thing is clear: cybersecurity will be increasingly important to business and talent that is on the cutting edge will be in high demand. To help industry identify and fill this gap, the faculty at Merritt College has teamed with Consortium of Information Systems Executives (CISE) to develop a fully accredited, two-year Associate of Science degree in Cybersecurity. On Nov. 2, 2018, the College will host a Cybersecurity Career Day in Oakland, Calif. Attendees will have the opportunity to meet highly-qualified students and learn firsthand of their training, experience and determination to enter the cybersecurity field. This event underscores the important role that IT and cybersecurity experts will play in the economy moving forward. Our stellar panel will share unique insights for industry and job seekers based on years of real-world experience. While there is no cost to attend the event, space is limited. If you’d like to reserve a spot, please email your name, company name and contact information to info@ciseeducationfund.com. Streaming media has taken over from network TV. 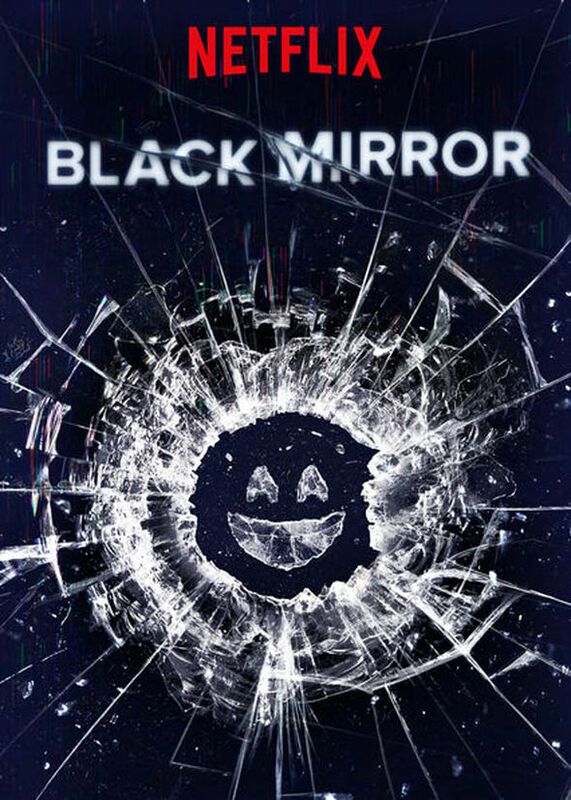 Among the many shows we’ve binged on Netflix, one of our favorites is Black Mirror. Each episode is a unique story, much like The Twilight Zone and others long ago. Uniquely, the Black Mirror stories are each cautionary tales about technology in our lives – the risks of misuse, loss of privacy, loss of intimacy. One episode for example follows a mother who tracks her daughter through an implant and tablet app that allows for real-time geolocation and vitals, but also displays what her daughter sees and even blocks disturbing content from her vision. Other episodes also extend the reach of today’s technology to fictionalize uncontrollable security robots, intrusive virtual dating apps and other scenarios that focus generally on the dark side of ‘future’ technology adoption by consumers. In nearly every episode, the focus is on consumer devices, phones, pads, sensors, and the use of massive amounts of machine data spewing from these devices, shown for either better or usually detrimental impacts on the individual. In reality, even with the technology – devices, software, analytics and machine learning we have today, we face these ethical dilemmas. My kids, both millenials, give their data freely, and expect to gain advantages from its mining. And having worked at Splunk, understanding the potential of ‘big data” analytics and artificial intelligence, I am of like mind. Sharing freely with attendant benefits outweighs security concerns – the exception being behaviors which can directly lead to identity theft. A recent news show segment featured a British security expert explaining what data we are sharing via Fitbit and similar devices, how our whereabouts and travels could be shown on a heat map, what implications that has for military personnel, etc. Yet the benefits of using a Fitbit and openly sharing geolocation and your vitals is well established. Another positive example of using analytics and AI to mine data for its potential was highlighted in a show about Chicago police, social workers, and clergy who have teamed together to mine data collected on potential felons in order to predict criminal behavior by these individuals (yes, without the imprisoned beings depicted in Minority Report!). Once they have a list of high risk subjects, a member of the police squad, a social worker, clergy, etc. actually visit the subject at home and try to convince them to enter into counseling, job training, and other programs. It’s not even at a 50% acceptance rate, but every point on that graph matters, and lives are saved. These points offer some light to go with what is often assumed to be a darker path via big data. And the implications for running a better business, endless! The CISE program at Merritt College is the only California community college that offers an Associate Degree in Information Security. Our success was recently showcased when students from our program recently placed 4th in the Gold Bracket (highest level) against over 175 schools in the annual national Cyber League competition. You will get a chance to meet our students and talk with them firsthand about the training and solutions they would bring to your company. We are focused on placing these students with leading Silicon Valley and Bay area companies where they can apply their knowledge and training around cybersecurity. Please participate to demonstrate that your company is a great place for cyber security professionals to begin their career, your commitment to improving diversity in the workplace and to support our local community. Please contact info@ciseeducationfund.com to register for the event. This year our Merritt College Information Security students competed in their third year at the National Cyber League, coming in fourth place among 175 schools entered in the competition. Over the last three years, our students have been participating in this competition in consecutively more challenging levels, moving from bronze, to silver, and now competing this year at the gold level. We’re very proud of our team, beating out all these other schools, and these victories attest to the power of our program and the skill sets these students have to offer. As a recap, the CISE Security Program at Merritt College is a fully accredited two-year degree program that is the result of a partnership with Merritt College and the Consortium of Information Systems Executives (CISE). The program is a huge win in working to solve the cybersecurity crisis and has the support of Congressman Ro Khanna. Our objective is to place graduated (and soon-to-be-graduated) students within companies in the Silicon Valley. We’re looking for companies that are progressive and innovative in their approach to solving the cybersecurity issue. We have students available for full-time and internship positions. Please contact me and I will put you in touch with students. I recently hosted a panel on the topic of Information Security and framed our discussion around the concept of Secure Innovation. Information Security is often viewed as a roadblock to innovation and an obstruction to moving quickly in a highly competitive environment. The panel focused on how to foster innovation and leverage security as a competitive advantage, and provided strategies that can be quickly implemented to achieve the overall goal of secure innovation. Each panelist provided openings statements on their experience with innovation that required a high level of security and privacy, and led to pragmatic solutions to challenges in this area. One of our goals from the panel was that CIOs would have 2-3 things they could immediately implement when they got back to their desk. What are your recommendations on sourcing, as you can’t do all of this in-house today? You need to be creative in your staffing solutions; it is very hard to hire experienced staff. We recommend getting less experienced staff and training them. The Merritt College Cybersecurity program is a great source and example of this model. What do you recommend on security reporting relationships (CIO, CEO, COO)? I report to the CEO directly as it is essential to our company being a small, early stage startup. Who are the bad guys and what do they want? How do organizations find and attract good security talent? You bring in less experienced staff and train them.